With the year coming to a close we want to thank all of our loyal fans! You create the most beautiful things! So what is your new year resolution?? 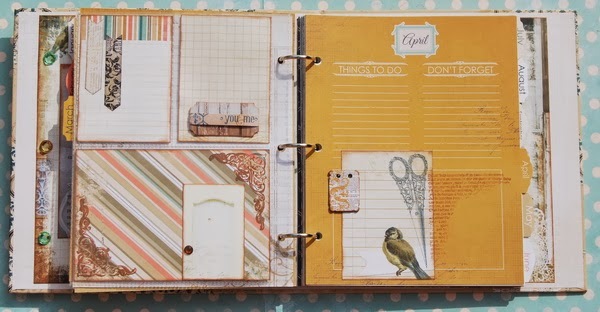 Have you tried pocket style scrapping?? Misc Me is the perfect pocketing system that is beautifully designed to fit your personality! Give it a try, you never know, you might LOVE it! Get excited for our Winter 2014 release to start previewing on our blog Janurary 6th. We have some exciting news about our Misc Me line. You're not going to want to miss it! Can you believe it's the last day of 2013? This year has gone by so quickly. 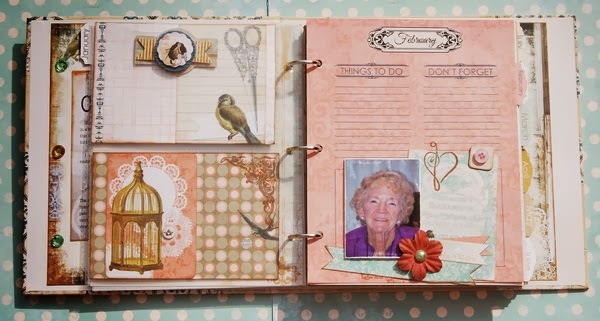 My goal for 2013 was to work on my Misc.Me journal every month and I'm happy to say I've done it! 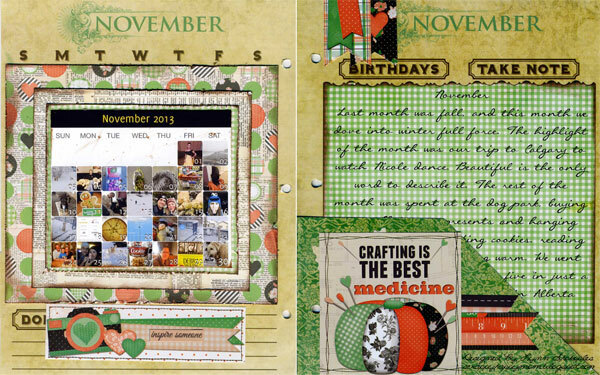 This month I've chosen to work with the new Pincushion collection. The colors are so soft and the elements are just so adorable! These pages came together in no time. I just can't say enough about the double sided cardstock! 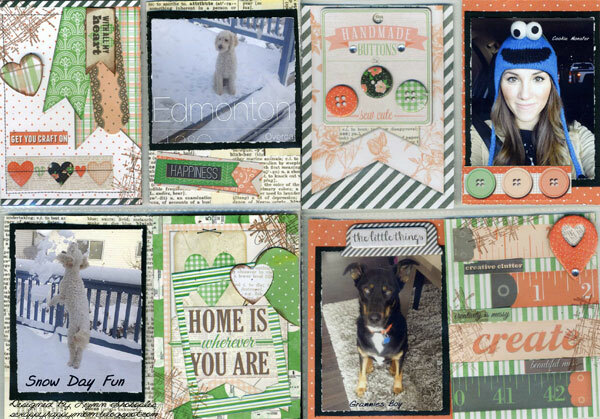 All the cards were cut out and then I just use the pattern paper on the back to place my photo on. Easy right? 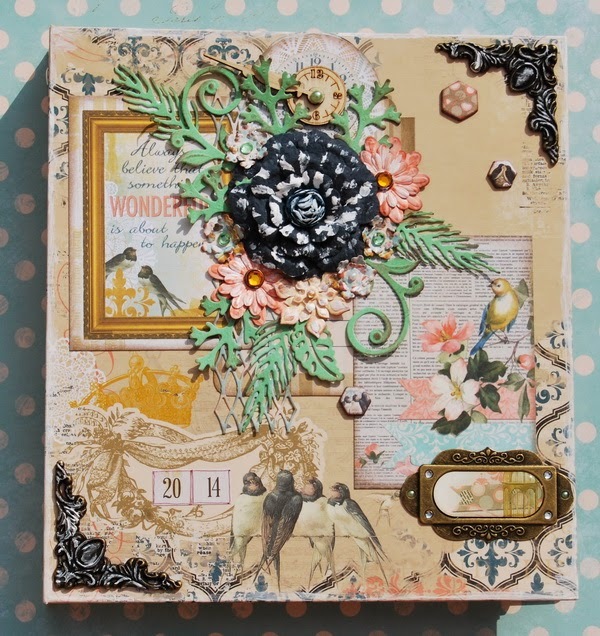 With the Noteworthy, stickers and the layers chipboard.. there are so many fun things to choose from. As you can see here in Canada winter came with a vengeance, so I have tons of snow pictures already! 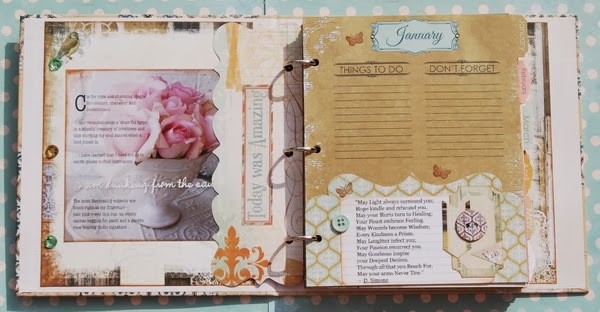 I'm busy working on my December pages and then I'm happy to say I have a whole year of photos, journaling and memories for 2013! Now the decision is... what to do for 2014! Happy New Year everyone! 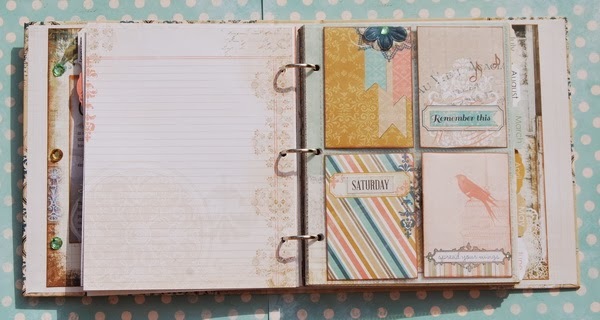 I wanted a diary/organizer for 2014 and so when I saw this Misc.Me binder and goodies, I just knew that I wanted to create a diary/organizer for myself. 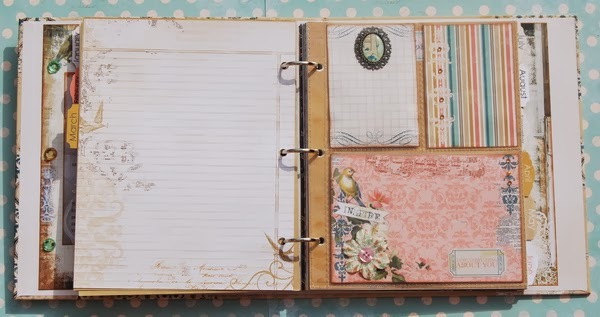 I am a person who likes to keep all my info etc in one place, so I decided to have my diary, journal and personals all in this one binder and I am so pleased that I did this. I cannot wait to start using it and I just know it is going to bring me much joy! I love pretty books and so I wanted a pretty cover, which will inspire me to pick it up everyday and really use it, as it is meant to be used! I am also a very upbeat person and I love inspiring quotes and notes, which allow me to start my day in a positive frame of mind. So my inside cover consists of that, along with my name card, which really makes this book so personal to me. I obviously will fill in notes and dates as the year starts and progresses. 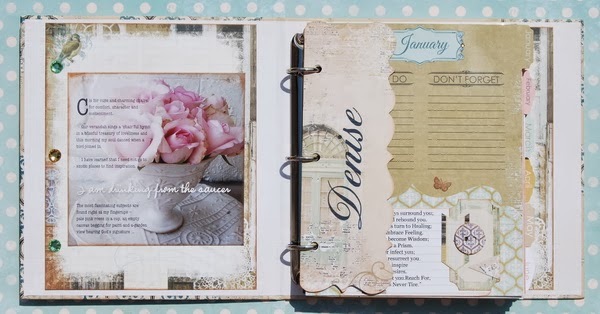 For each month I have the beautiful divider, then I have the weekly contents page, along with some notepapers for my notes and journalling and then I have prepared some pockets for photo's and thoughts! 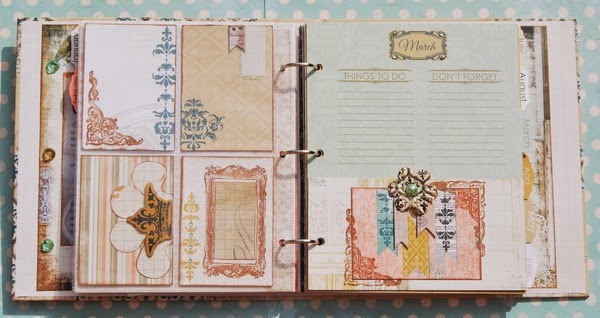 I love this combination of uses and love that this Misc Me is so versatile and user friendly. I have used both sides of my pocket cards, so that I get more use out of the cards, as well as keeping down the bulk in my organizer. Stamps, stickers and petals are so great with Misc Me, because they add features, without adding bulk. 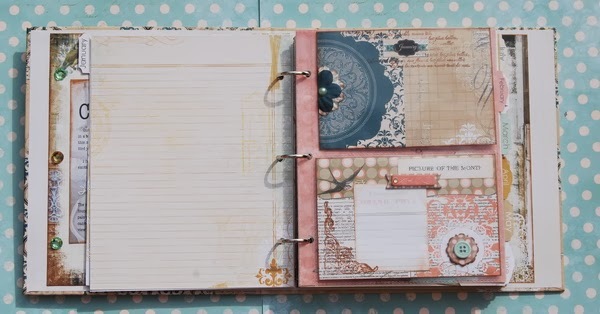 The time I have spent creating these pages has been very therapeutic, in that I have had time to consider the year ahead and the things that I want to document, remember and keep. In a way, it has been a preparation for things that lie ahead, and I am excited and happy about 2014. 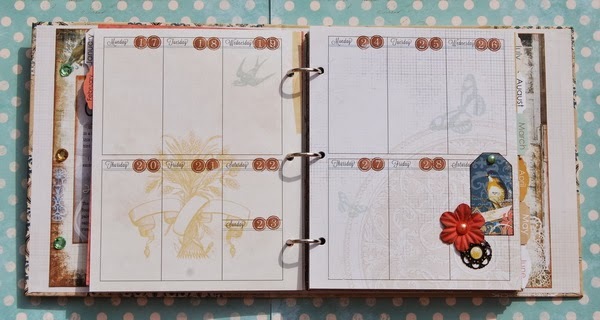 You can make these organizers/diaries as personal as you want, as simple as you want or as complex and integrated as you want! Whatever works for you! That's the beauty of it! Great job with Misc. Me ladies! I loved both of your examples and uses!!! What a fantastic projects you made girls! Love it!